Welcome to Campania, in the Mezzogiorno, beautiful southern Italy. It’s where Feudi di San Gregorio is, in the “shin” of Italy’s boot, some 50 km inland from Napoli. This wine producer became, in just a few years, an icon of the modern Italian winemaking renaissance. It remains one of the leaders in restoring authentic Campanian wines to their former glories. In so doing, the prestige of Campanian wine is continuing on an upward trajectory. This article from 2017 has been updated one year on with new vintage and distribution information. Campania has an ancient wine history and, according to Ian D’Agata*, at least 56 unique indigenous grape varieties. There are international varieties planted here too, but unlike in some other parts of Italy, their presence is small. Indeed, the vineyards of this sun-baked land made some of the top wines of antiquity, such as Roman Falernian. In those days, this region was Romana Felix, the fertile countryside. Many of those ancient varieties survived to the present day. Unusually, they avoided phylloxera. But also because this area couldn’t afford to replant with international varieties. Campania is a land of contrasts. It has a long and beautiful Mediterranean coastland, Mount Vesuvius and the cultural heritage of Pompeii, all magnets for tourism. Moving inland, hills and the Apennine mountains dominate. These mean there are many different terroirs ideal for wine growing, often on volcanic soils. Gastronomically, this is the home of real pizza and fantastic seafood, fruit and vegetables. Meanwhile, the coastal wealth of Amalfi and Capri collides with grinding Neapolitan poverty and heavy industry. On the coast, the climate is balmy, while inland, winters can be severe. Despite the history of winemaking here, winemaking had been in a long decline. By the 1980’s, critic Burton Anderson described it as a “sea of mediocrity”. Despite the enormous potential of this land, cheap bulk wines were the norm. At most, there were a handful of quality producers. My metaphor for the Campania that I first knew during the early 80’s was a car. Not just any old car. How I loved my Alfa Romeo Alfasud 1.5Ti Quadrifoglio Verde, made in Napoli! It was stylish, fast, and exciting. And it rusted away before my eyes. How times have changed. Feudi di San Gregorio was founded in Campania during 1986 at Sorbo Serpico. It’s in the hilly inland area of Irpinia, the historical name for the province of Avellino. Feudi recognised that the only way to be successful was in the relentless pursuit of quality. Campania also had enormous untapped potential. Now Feudi is world-famous, producing some 3.5 million bottles per year of high-quality wine, and exporting to 50 countries. Indeed, so successful has it become that it’s a regular case study on MBA programmes. It’s a combination of protecting ancient grape varieties, research, organic viticulture, ultra-modern wine techniques, design excellence and sheer business nous. Today, Feudi di San Gregorio has 300 hectares of vineyard, with some 795 separate parcels. Some are theirs; others involve many local grape growers. Feudi focuses on the Campanian native grape varieties, including the great Aglianico red and Fiano di Avellino white. Both of these grapes should be on any list of the truly outstanding grapes of Italy. 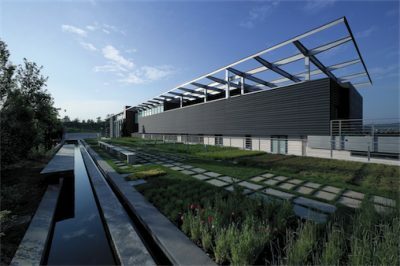 Their ultra-modern winery complex is mostly underground. With a design by architect Hikaru Mori, it includes a Michelin starred restaurant, called Marennà. Indeed, this cantina and its design symbolise the innovation behind Feudi’s success. Their reds come from Aglianico, Piedirosso and the ultra-rare Sirica grapes. In white, there is Fiano, Falanghina, Coda di Volpe, Biancolella, and Greco. Meanwhile, they conduct lots of research into these and other rare local varieties. All this means a vast range of more than 25 excellent wines. Most are varietal wines, as is the norm in these parts. There are FeudiStudi special editions, a Rosato, and delicious fizz (DUBL). The aristocratic Serpico, made from Aglianico vines over 150 years old, is their flagship. There are too many wines to cover in this article, even if they all range from excellent to stupendous. Each has a beautifully designed label, a real badge of quality. You won’t find any duffers, and DIAM corks protect the wines so that you can buy any of them with confidence. Back to cars. Alfa Romeo quality has improved immensely, so these days think of the Alfa Romeo Giulia, 4C and 8C. Meanwhile, Feudi has become the centre of a group of wineries. These are in other Italian regions such as Basilicata, Puglia, Friuli and Sicily. Each one has an independent structure, but all share the same values. A recent addition is Campo alle Comete in the Bolgheri area of Tuscany, which you can read about here. I have picked two classics that, for me, are ambassadors; not just for Feudi di San Gregorio, but for Campania itself. These are both DOCG’s from Irpinia; a red Taurasi made from Aglianico and the white made from Fiano di Avellino. A DOCG since 1993, Taurasi is the “Barolo of the south”. It represents the apogee of what the Aglianico grape can do. Like this superb single vineyard example, most Taurasi is 100% Aglianico. They must come from a small hilly area in Irpinia. The DOCG stipulates three years ageing, of which at least one year must be in wood. But this wine is a Riserva, so the maturation time is extended to four years. It’s a powerful, complex and deeply rewarding wine of great refinement and finesse. Piano di Montevergine is mightily impressive, massive in the glass but already showing heady aromatics including roses. The tannins underpin cherry and blackberry fruit; all cut with nuanced balsamic notes, spicy pepper, mocha and coffee. With lovely balance and exceptional length, it’s worthy of any special occasion. In short, this can stand next to the very best wines of Piemonte, Tuscany or the Veneto. Tasted again with another year’s bottle age, it has opened it up slightly, but this is is still a very young wine with decades of potential ahead. £35.60 at Tannico. Fiano di Avellino is the white grape superstar at Feudi. Once a rare grape, it’s now hugely popular, a remarkable success story. Pietracalda is a pleasing yellow colour. It’s a superbly aromatic dry wine, all delicate fresh flowers and citrus. The palate has a lovely soft texture and vivid intensity. It’s like brioche with quince and pear fruit, before a laurel/acacia note and a penetrating mineral streak. A little smokiness and sage appear on the finish. In 2017, there’s a bit more intensity due to the hot summer, but this wine is excellent every year. Drinking perfectly now but this has plenty of ageing potential too. Try this as a stylish alternative to a white Burgundy, especially with fish. £17.30 at Tannico. In the past, several Feudi wines have been hard to find in the UK. Now, this is set to change. Feudi di San Gregorio now has a strategic partnership with Vini Italiani in London for distribution in the UK market. Vini Italiani will provide Feudi with a physical presence for their wines in London via its wine bars and stores. Their online presence covers the UK. It means Feudi will have a stable reference point to enjoy and purchase their wines, including those from outside Campania. As well as purchase, wines will be available by the glass and at tasting events. In return, Feudi has invested in the equity of Vini Italiani. It will support expansion from their current three venues in South Kensington, Covent Garden, and Greenwich. That’s excellent news, especially if you haven’t yet discovered the wines of Campania. I can think of no better place to start than with Feudi di San Gregorio. *Ian D’Agata is the author of books such as the superb Native Wine Grapes of Italy and the brains behind Italian Wine Unplugged.